The Flash: What are Metahumans? 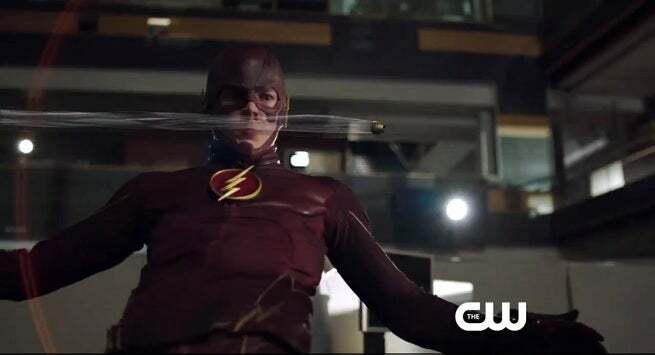 Yesterday afternoon/evening, The CW released a new clip from the pilot for The Flash, in which Barry and his S.T.A.R. Labs support team learned about the existence of what seems to be hundreds of "metahumans." What are metahumans, you ask? Or, at least enough of you did in the comments that it seemed worth exploring? Let's take a look. The short version is that metahumans are DC's version of mutants. Like the X-gene that all mutants have, the metagene sometimes lays dormant for years or never becomes active at all, but it's present in all potentially super-people in the DC Universe and it's just a question of whether it's triggered "on" or not. I cannot find a root for the use of the "X-factor" or "X-gene" in the Marvel Universe, so it isn't immediately clear who had the idea "first." However, it certainly became more fashionable and frequently-mentioned at DC during the '90s, when the X-titles were wildly popular at Marvel, so it always seemed as a reader like the two were related. In both cases, the focus on a specific variation on superhumans/superheroes seems likely to be designed for the publisher to have something that can be trademarked. "superheroes" or "super-heroes" is a jointly-owned trademark by Marvel and DC, and used colloquially so much that the trademark feels ineffective at keeping other companies from using the terminology. From a story point of view, the concept of "metahumans? debuted in the crossover series Invasion! in 1988. The titular invaders in that story were an alien race known as the Dominators, who coined the phrase. 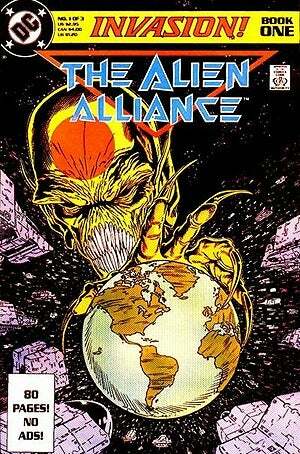 The Dominators believed that the unpredictable evolutionary tendencies of Earth's metahumans posed a clear and present danger to the state of the universe. When the invasion was beginning to crumble and turning to Earth's favor, one Dominator created a Gene Bomb and detonated it in Earth's atmosphere that would affect many individuals that possess the metagene, causing them to lose control of their powers and eventually fall into a coma and die. The effects of the Gene Bomb were ultimately reversed by Martian Manhunter and a group of other heroes unaffected by the detonation, using Dominator technology, and the Dominator invasion was turned back as they imprisoned the rogue Dominator, whom they considered a war criminal (the goal of the invasion was to control the metahumans, not kill them). As you would expect, the Gene Bomb became the precipitating event in the creation of a number of DC metahumans for years afterwards. It's not unprecedented to have issues that awaken the metagenes of a number of individuals at once; the Bloodlines event led to the creation of Anima, Hitman and dozens of others. While the Dominators would disagree, DC's writers have consistently acted as though the terms "meta" and "metahuman" do not only refer to humans born with biological variants. Superman and Martian Manhunter (aliens) as well as Wonder Woman (a near-goddess) and Aquaman (an Atlantean) are referred to in many instances as "metahumans." It can refer to anyone with extranormal powers, no matter the origins and including those not born with such power. The DC Wiki says that there are are roughly 1.3 million metahumans on Earth (in an entry written before the New 52, so all of these numbers are subject to change), 99.5% of which are considered "nuisance-level" (such as kids who can bend spoons with their mind and the old lady "who keeps hitting at Powerball"). The other 0.5% are what Checkmate and the O.M.A.C.s consider Alpha- and Beta-level threats. For example, Superman and Wonder Woman were categorized as Alpha-level, while Metamorpho was considered a Beta. Booster Gold is also listed as a Beta level metahuman, in spite of having no obvious powers of his own beyond the technology that powers his suit. Whether he has a latent metagene or whether they classify him based on his skill and effectiveness level is unknown. 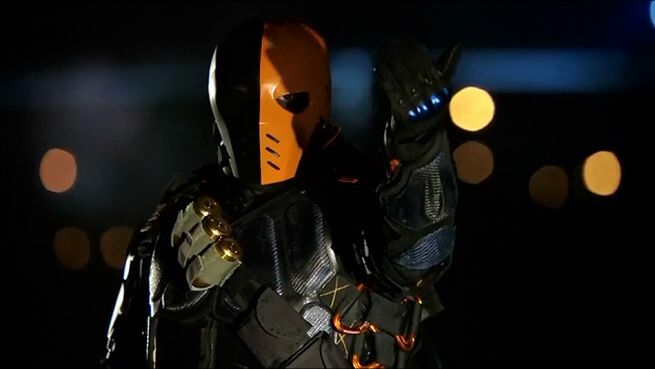 Some characters without obvious powers, such as Batman and Green Arrow, have been referred to as metahumans in the past, but in both of those specific cases later writers went out of their way to retcon the reference to be sure those characters are fully human. On Arrow, it seems very likely that the Mirakuru drug was a way of manifesting metahuman skills, especially since the success rate was so low that it suggests the subjects needed something extra to survive the encounter. At one point, Lex Luthor developed an "Exo-gene," which would allow him to activate latent metagenes...with science!...but it was taken out of wide use when it was revealed that Luthor built an "off-switch" into the program and used it en masse at one point, resulting in dozens of mid-air and mid-combat deaths of people whose powers suddenly stopped working. It seems likely from context that General Eiling, whose comic book counterpart was partially responsible for the creation of Captain Atom and Major Force, will be attempting something similar on The Flash, although that is certainly not a given, just seemingly-obvious speculation. Confirmed metahumans set to appear on The Flash are Weather Wizard, Girder, Firestorm and The Mist, with villains who may or may not be metahuman, depending on how they're written, including Captain Cold, Pied Piper and Heat Wave.